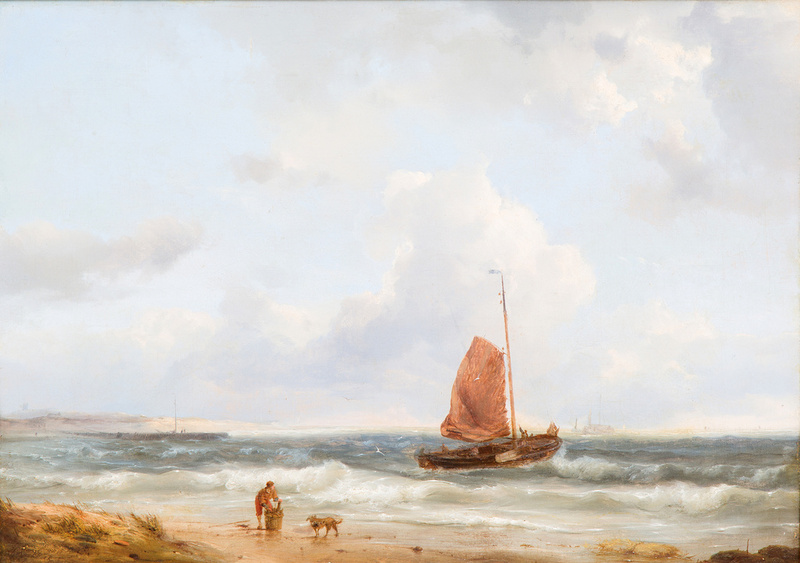 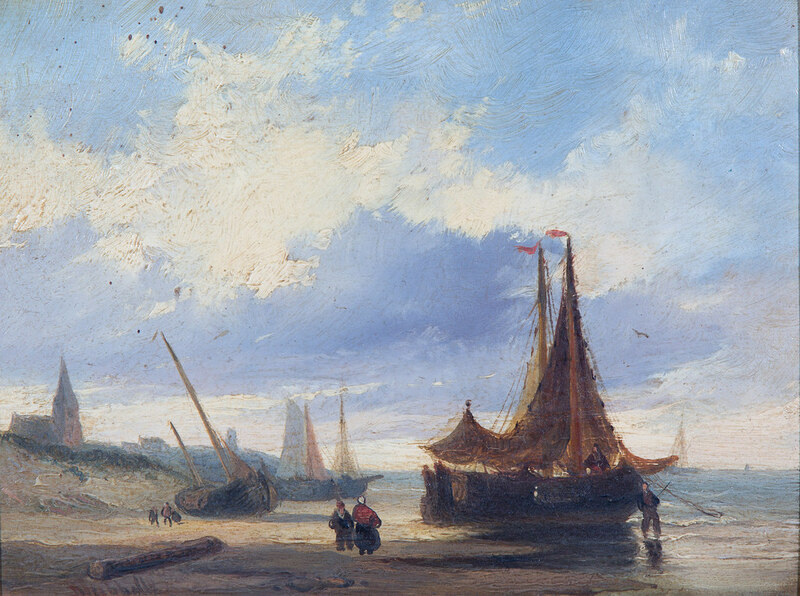 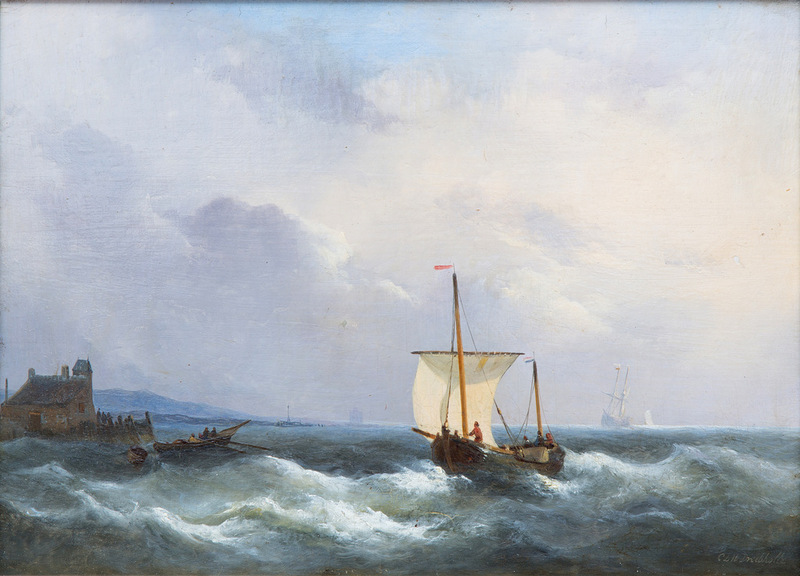 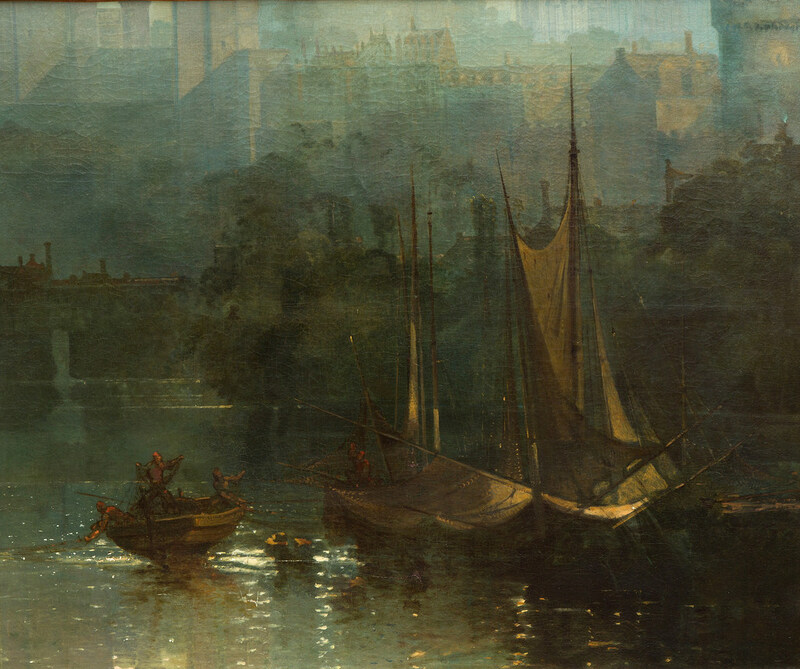 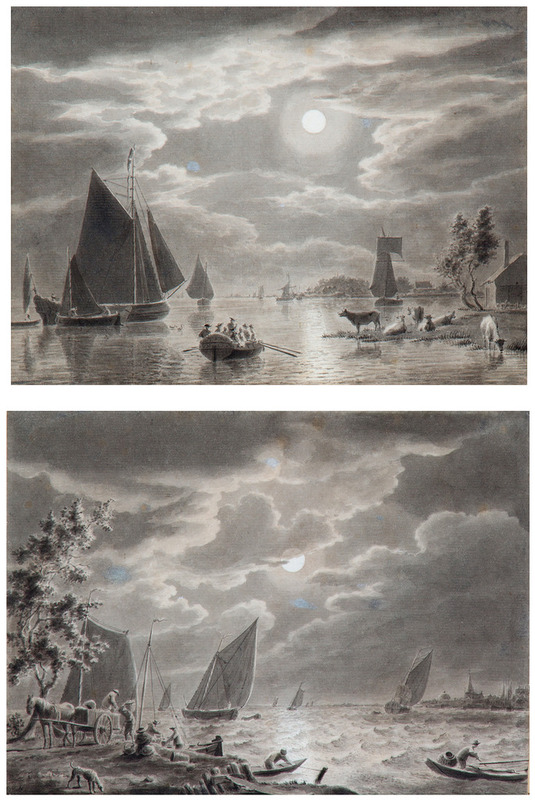 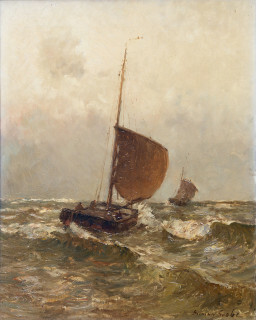 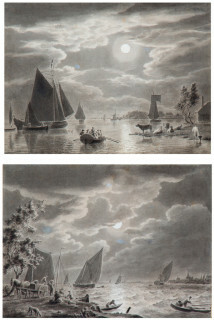 A fishing boat going out to sea signed lower left and dated 1849 oil on canvas, 33,5x47 cm Provenance: Galerie Erich Beckmann, Hannover. 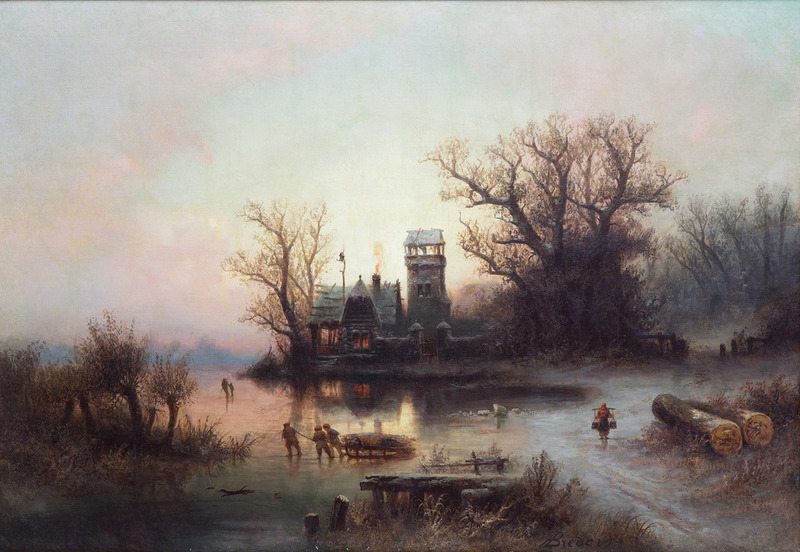 A sunset winterlandscape with peasants pulling a sledge on a frozen pond by a fortified farmhouse signed lower right oil on canvas, 94x137 cm Auction: Christie's Amsterdam, 28 Oct. 1992, lot 185. 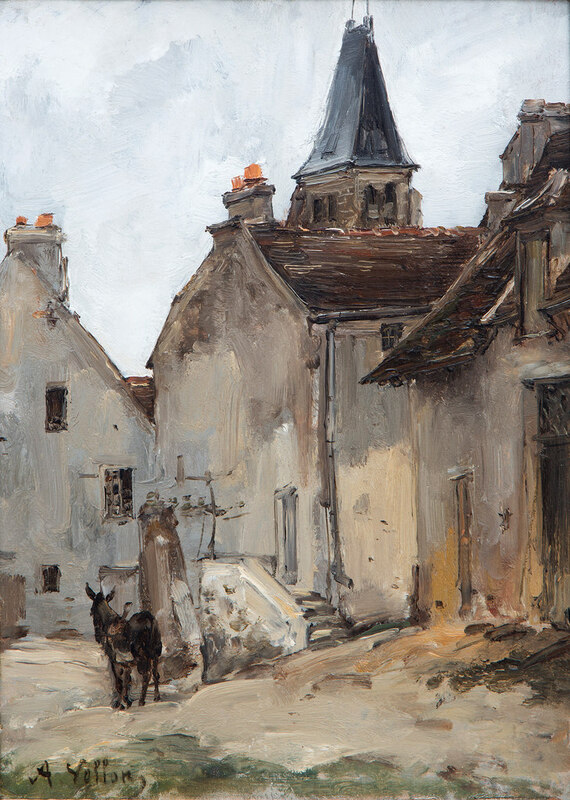 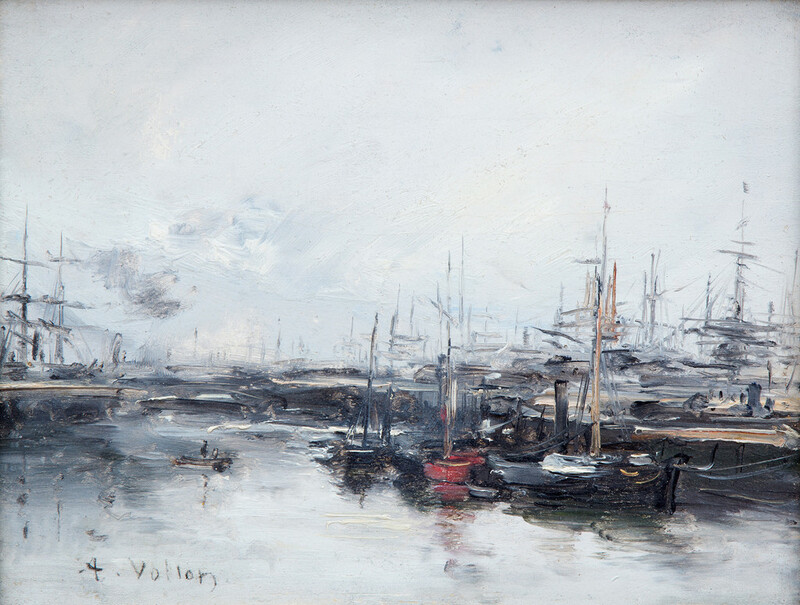 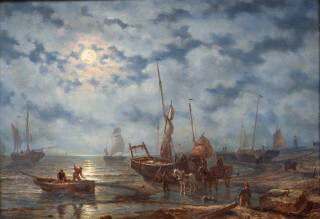 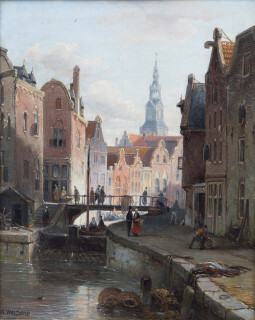 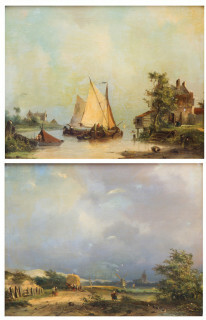 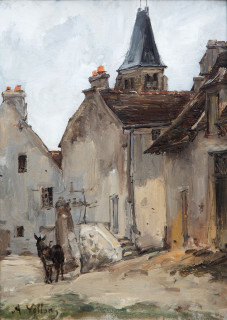 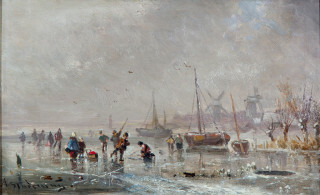 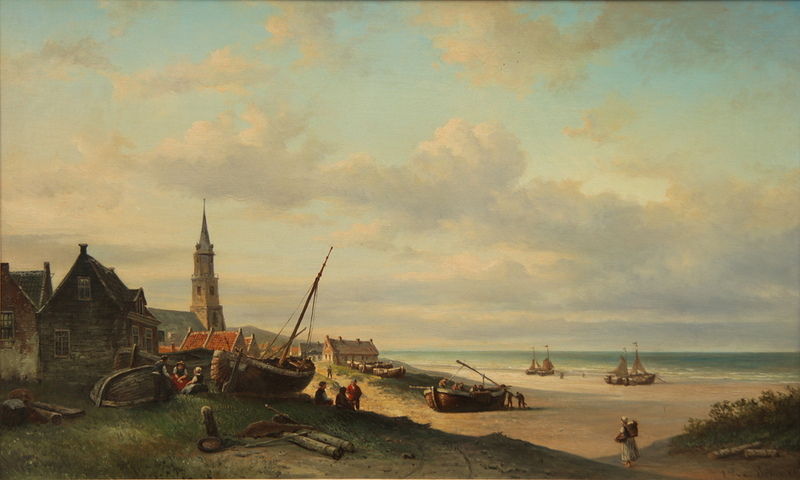 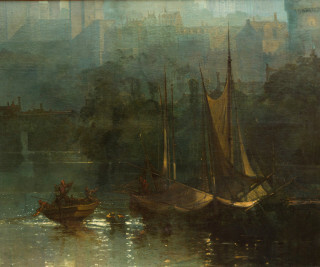 Harbour view, France signed lower left oil on panel, 18x23 cm Provenance: Former with Kunsthandel G. J. Nieuwenhuizen Segaar, Anna Paulownastraat, The Hague (label on the reverse). 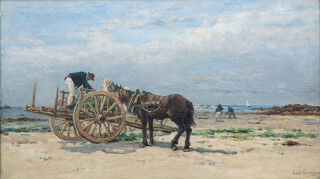 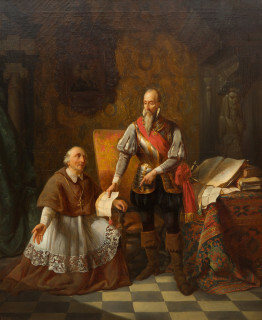 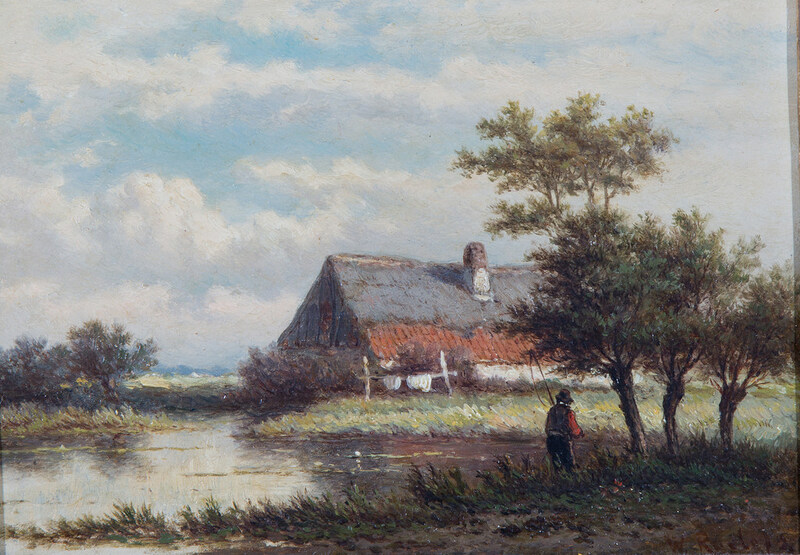 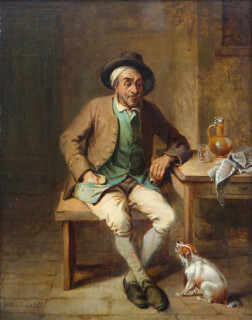 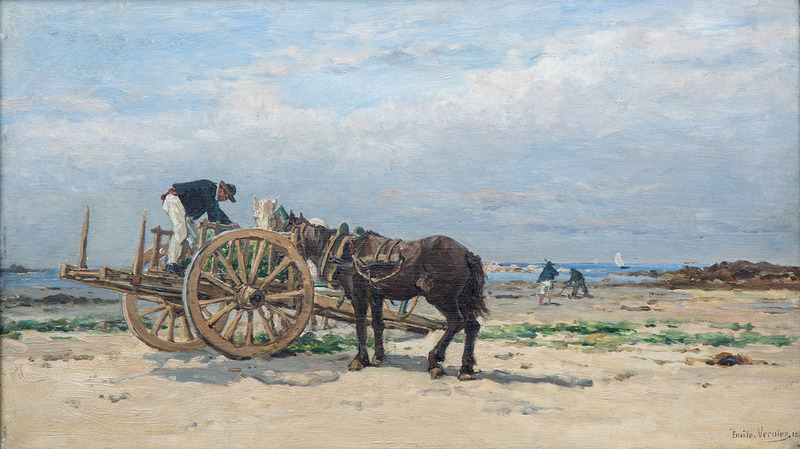 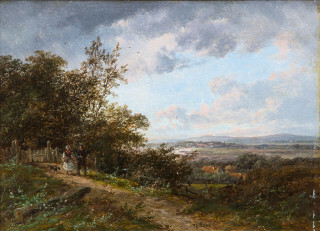 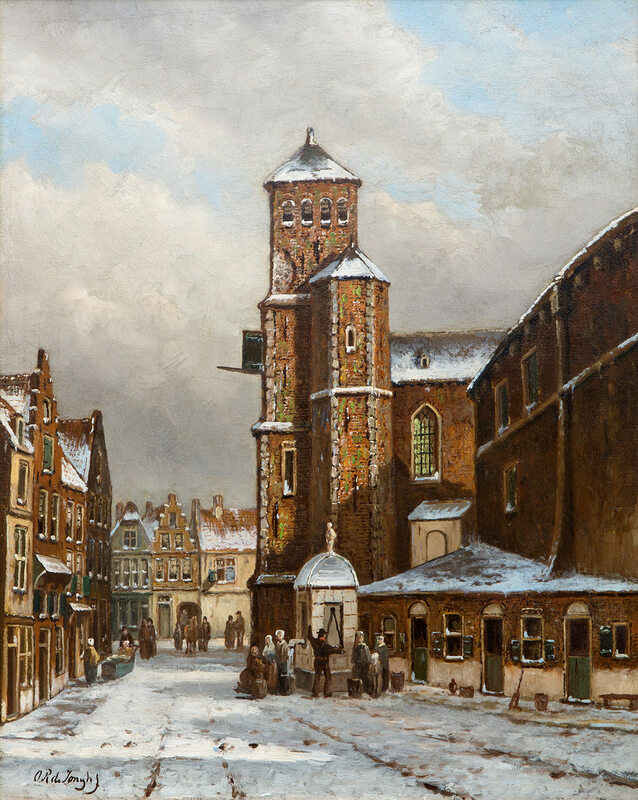 Pieter Hoogendijk Art dealer. 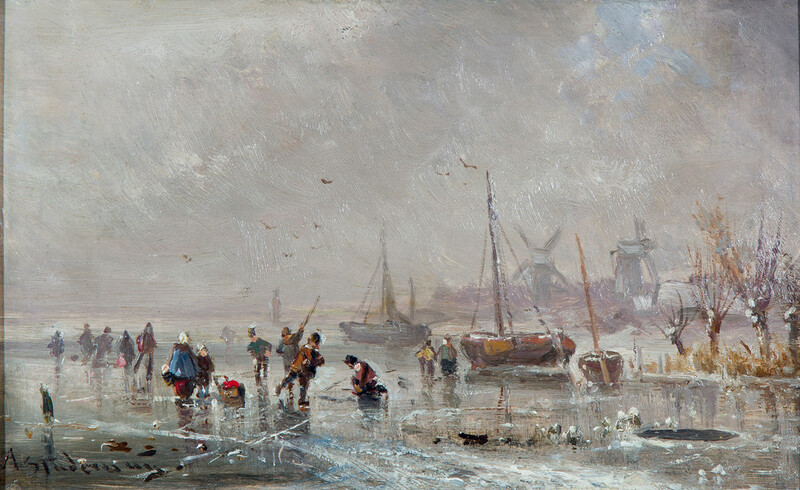 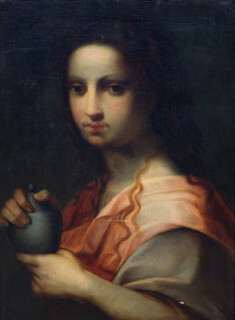 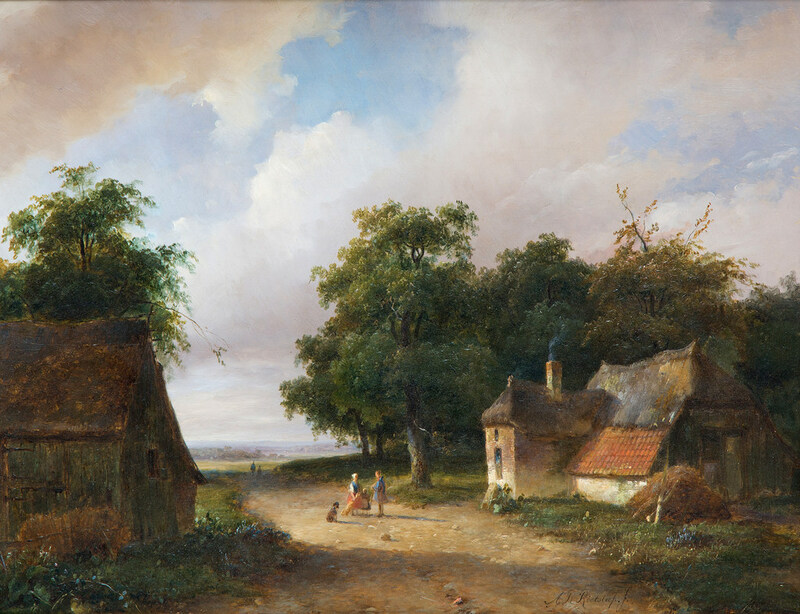 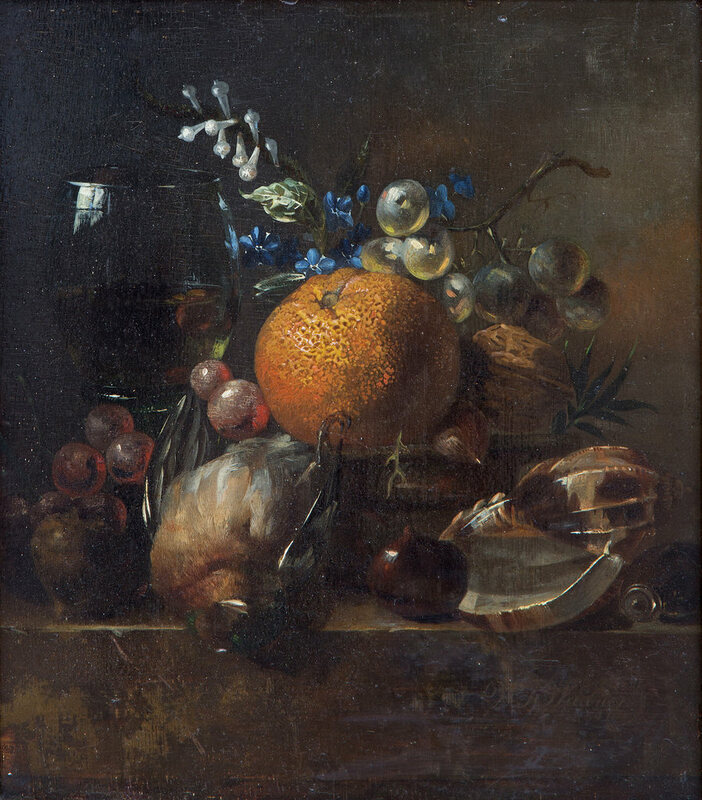 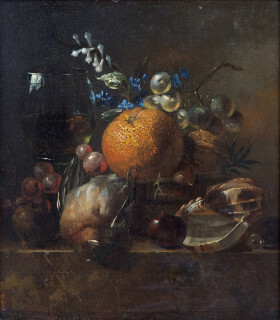 Private collection, The Netherlands.